This rug looks different than the photos, but I like it even more. It looks great with our mid century decor. It’s hard to believe it’s an outdoor rug. I expect it to work well in our basement. 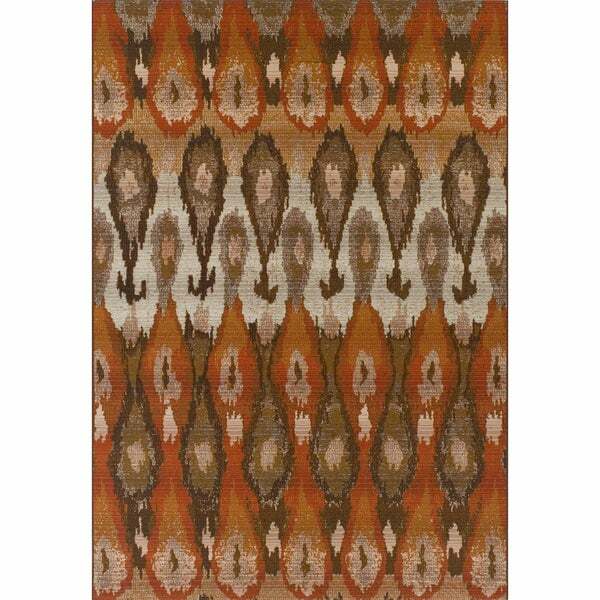 Bring a bright note to your patio's design with this Addison Freeport area rug. This flatweave rug is fashioned from polyester and polypropylene, ensuring durable utility and softness underfoot. Safavieh Courtyard Kailani Terracotta/ Bone Indoor/ Outdoor Rug - 5'3" x 7'7"